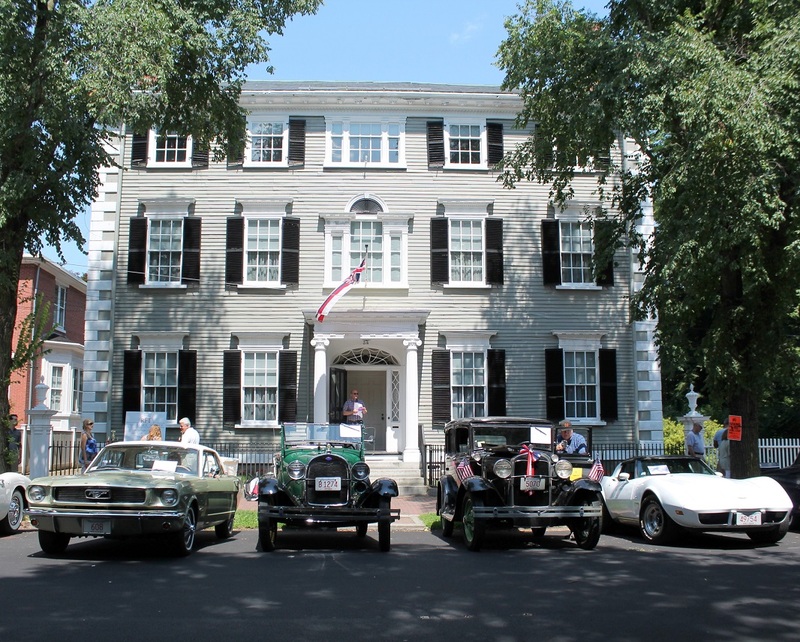 On August 9 from noon to 3:00 p.m., see dozens of antique cars up close at the Fourteenth Annual Phillips House Car Meet in Salem, Massachusetts. Arranged by the North Shore Old Car Club, this signature event for Historic New England’s Phillips House features vintage and antique vehicles, museum and carriage house tours, refreshments, and live music. Come and vote in the People’s Choice for your favorite car on display, organized by RFT Insurance. New features at this year’s event include a vintage Volkswagen photo booth, sponsored by Creative Salem and Front Street Coffeehouse. Stop by and take groovy pictures with a classic car. The Cannoli Cart will be on hand with mini-treats for purchase. Proceeds from both of these additions support the preservation mission of Historic New England. This event remains free to the public thanks to a list of sponsors including: Bouchard and Son Auto Repair, Essex Street Dental Medicine, Restorations by Roy, the Salem Witch Museum, and Spinale Automotive. Plan your visit to the Phillips House Car Meet.